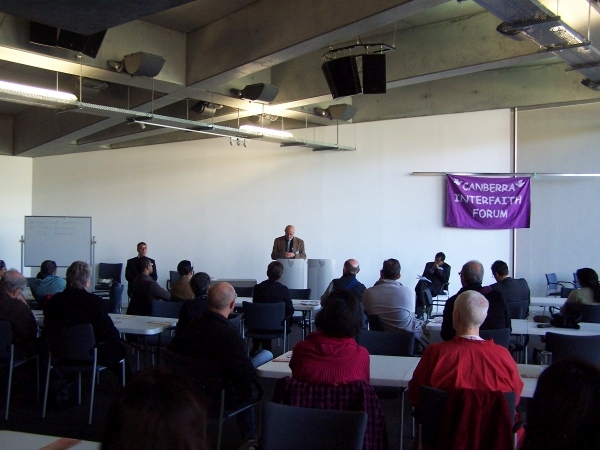 For the first time, the Annual General Meeting of Religions for Peace Australia was held outside Melbourne; the meeting was held at the Australian Centre for Christianity, in Canberra, on 4 May 2014. Today is a historic day in the history of Religions for Peace. For the first time, the Annual General Meeting is being held outside Melbourne where it was founded in 1970. This reflects the growth of Religions for Peace Australia outside its Melbourne base, and the growth of the interfaith movement generally, especially over the past fourteen years since 9/11. 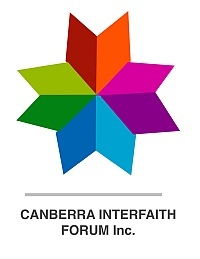 I wish to thank chairperson Dean Sadhu Khan and the Canberra Interfaith Forum and the Australian Centre for Christianity and Spirituality and its director, Rt. Rev. Professor Stephen Pickard for making it possible to hold this historic AGM in the national capital. I also want to thank our energetic secretary, Dr Sue Ennis, for all her work of organization. I also want to welcome our first West Australian observer, Eva Sauter, who is central to our process of establishing a Western Australian branch. The broadening of the chapter base from Melbourne has been occurring gradually over the past 15 years, and the last two years has seen the annual gathering of branch and affiliate leaders at the AGM and through regular meetings via phone hook-ups. It now becomes possible that the chair of Religions for Peace will not necessarily have to reside in Melbourne. The new technologies are enabling us to overcome the tyranny of distance though it is always beneficial and productive to meet face-to-face. 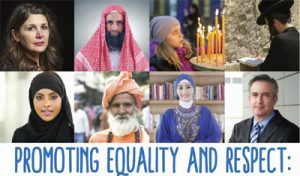 Religions for Peace Australia has continued its work both nationally and internationally at a time when there are emerging signs that the Commonwealth Government is moving to provide greater direction and support for interfaith dialogue and interaction.. But much has been happening internationally. The most important event of the year was the holding of the World Assembly of Religions for Peace International in Vienna in November 2013, attended by more than 600 religious leaders and people of faith representing all historic faith traditions and every region of the world. There are now 94 national chapters across the world. Compared to the previous Assembly in Kyoto in 2006, attendance numbers were constrained because of space and financial limitations. 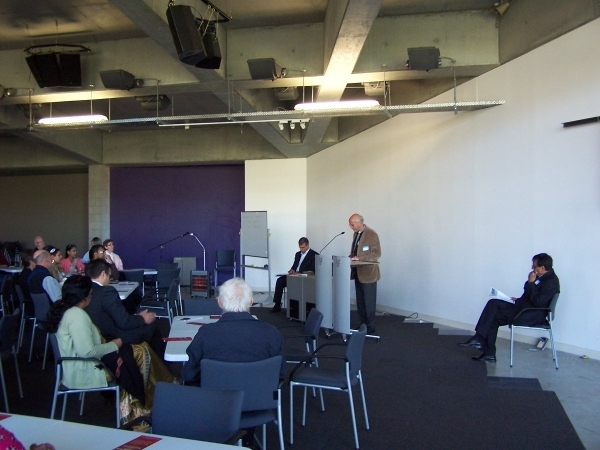 Australia was allowed three delegates (a Christian, a Jew and a Buddhist) and only two observers. The funding source for the Assembly was the King Abdullah InternationalCenter for Interreligious and Intercultural Dialogue with its headquarters in Vienna and funded by the Saudi government together with the Spanish and Turkish governments. Australia was honoured by the election asRfP International treasurer of Mr. Steve Killelea, the low-profile Australian philanthropist and head of his telephony company. The theme of the Assembly was Welcoming the Other: A Multi-Religious Vision of Peace. The opening addresses were given by Cardinal John Oneiyekan of Abuja in Nigeria who argued that whilst we cannot truly forget our differences, citizenship must always be the common ground. There should not be any official religion in any country. Dr Olav Tveit, General Secretary of the World Council of Churches, spoke of the theme of God as Lifeand the need to listen to our own faiths. He pointed to the reality of stateless people and the right of everyone to citizenship, equal and democratic citizenship. A specially welcomed speaker was Al Haj U Aye Lwin, head of the Muslim Centre in Yangon in Myanmar which has recently become a chapter member of Religions for Peace. Dr Lwin visited his Muslim Myanmarese community in Melbourne in December 2014. He spoke of how tolerating diversity is not enough but the political climate was being damaged by ultra-nationalisms. During the recent troubles in his country, Buddhist young people came out in open support of the Muslims. Katherine Marshall, formerly of the World Bank, in speaking on human development, made five action suggestions: (1) In fighting corruption we need better faith literacy and better knowledge (2) equality between men and women as the core of development (3) Part of the true welcome is partnership (4) A sharpened focus upon fragile states and (5) Part of democracy are results and accountability. The final address was given by His All Holiness the Ecumenical Patriarch Bartholomew I who suggested that religion freedom is the cornerstone of building peace and that thepath must be moving from tolerance to love. Quoting Pope Francis, he said, “all war is a defeat”. The long final declaration is available on the RfP website. Also produced for the Assembly is a Resource Guide on Nuclear Disarmament for Religious Leaders and Communities, written principally by the New Zealander Alan Ware and a joint RfP-UNICEF production, From Commitment to Action: What Religious Communities can do to Eliminate Violence against Children. RfP Australia has been involved in helping to organize the coming eighth Assembly of Religions for Peace Asia, whose theme will be Unity and Harmony in Asia, to be held in Incheon, South Korea from 25th – 28th August. Australia has been allotted five delegates and about 20 observers. Part of the preparations included a special seminar on Migrants and Religion triggered by the increasing population movements across Asia. 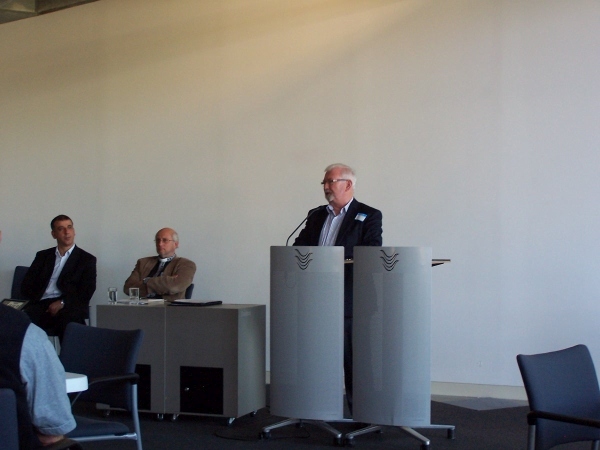 Also a peace forum was held in the DMZ separating North Korea and South Korea. Unfortunately the original idea to conduct the Assembly in North Korea fell through because of the tensions between the two governments. The current secretary-general, Mr Sunggon Kim, the South Korean parliamentarian, will be retiring at the next assembly. In other international initiatives, Kaisha Crupi, a young student in the B.A. (International Studies) at RMIT University has been successfully doing her internship in New York at the headquarters of Religions for Peace International. Also in the run-up to the Asian Assembly we have been asked to help resuscitate the New Zealand branch. We have been in contact with some of the key players but the interfaith movement, whilst quite active, is very regionalized in the land of the Kiwis and this has worked against forming a national chapter, But whatever results will be focused probably on Hamilton. As well, there is scope to form a chapter in Papua New Guinea as there is a growing Muslim population, and there are also some Indian Hindu workers in the country. A Ph.D. thesis has been done on the Muslim presence but it will be quite difficult to establish a PNG chapter. Another initiative that has involved us is helping to provide chaplaincy services at the huge World AIDS Conference to be held in Melbourne in July. As we are very aware, there has been completed or there are ongoing government inquiriesinto the clerical and monastic sexual abuse of children and adolescents as well as broader organizational abuse. The Victorian Parliamentary Inquiry with its Report, Betrayal of Trust, has already reported; the NSW Inquiry with its focus on Newcastle will report this month and the Royal Commission has already given one report into one case study though its final report will not come for 2 -3 years. u communities in Australia. The Victorian Report has driven us to have secure public liability, not least because of our coordination of the teaching of the Baha’I, Buddhist, Greek Orthodox, Hindu and Sikh traditions into Victorian primary schools. Whilst it is costly at almost $3,000, the organization has simply had no choicebut to take out insurance. It is also incumbent for all religious and interfaith groups to get their houses in order in terms of mandatory reporting, codes of conduct, proper protocols,police checks as appropriate and appropriate insurance. The website of Religions for Peace continues to a very useful service in marketing ourselves as an organization and in sharing information. I want again to thank Chris Parnell who from Shepparton scours Australia and the world for items to place on the website. The international office in New York has been very impressed with the Australian website. 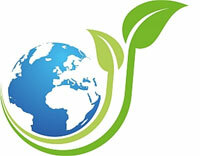 During the 2013 calendar year, the website received 26,850 unique visitors who looked at pages 40,183 times. 156,903 pages were viewed over the year with November being the busiest month because the website was delivering daily news about the World Assembly.Visitors came from U.S.A. (31,880 page views), Australia (22,349), Germany (14,117), Thailand (10,529), and then China (4,101 and Japan (4,008). Visitors came from 12 other countries in significant numbers. Unfortunately there were also some significant attempts to hack the site. The six top viewed pages were (i) About us, (ii) forthcoming events, (iii) organization, (iv) global-network, (v) news and (vi) the report Religion, Cultural Diversity and Safeguarding Australia. 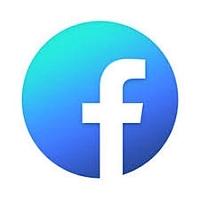 The most downloaded files were the Golden Rule file, plus the AGM reports of the last three years, the Jewish film festival and the report of the Canberra Interfaith Forum. 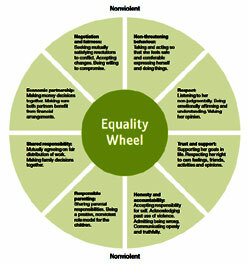 The website has given a very strong leadership profile not only across Australia but internationally. 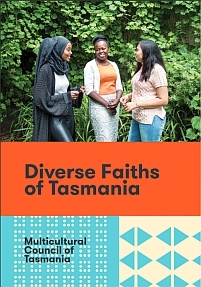 The Victorian Multicultural Commission to which we are very thankful has given a grant of $8,500 to update the website’s platform and also to have an electronic repository of educational materials to use in schools’ religious and multifaith classes. In the same week, it inaugurated an Annual Interfaith Week public lecture given by Emeritus Professor Joseph Camilleri on Multifaith Australia – Reimagining our Common Future.As well, it has given its support to a proposal to a Deloitte econometric scoping study, initiated by the Church of Jesus Christ of the Latter Saints to show how religion adds very significantly to the national economy and to social cohesion. It is also applying for a grant to conduct an Interfaith Anzac Centenary Commemoration. 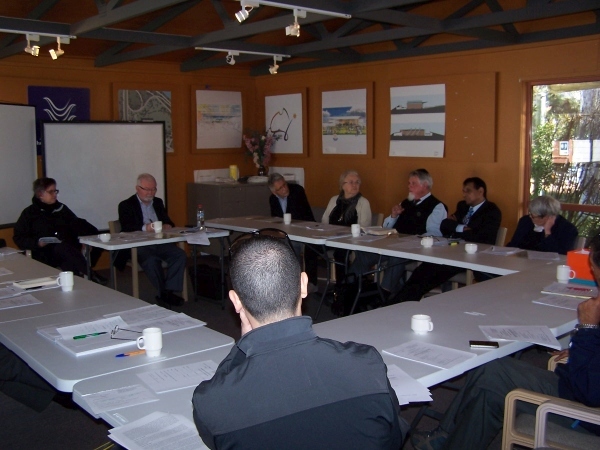 It has also continued its membership of the Victoria Police Multifaith Advisory Council. Queensland has been endeavouring to focus on natural disasters and resilience and the role of chaplains in emergency situations. Religions for Peace Australia is a member of the Australian Partnership of Religious Organizations chaired by Abd Malik. In March it spent a day of conferring with our national parliamentary leaders in Canberra, especially concerning the proposed changes to the Racial Discrimination Act with the staff of Senator Brandis. It also met with the staff of the Minister for Foreign Affairs to advocate a greater government involvement in the international interfaith agenda and its organizations. As well, it is assisting in an APRO symposium on May 6th on various aspects of the interfaith agenda in the NSW Parliament House. It is fair to say that there is much happening in the Australian interfaith world. 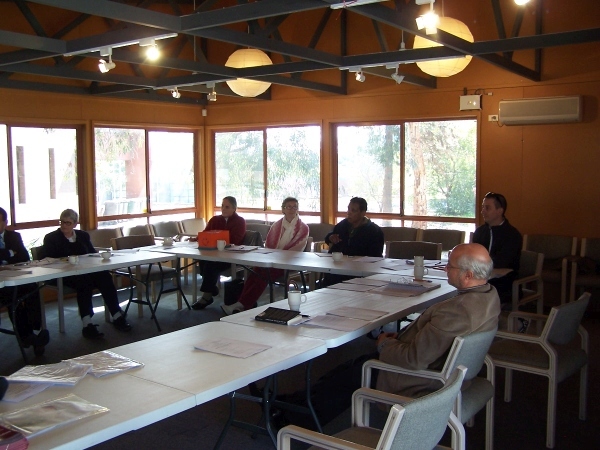 Religions for Peace Australian with its branches and affiliates is at the centre of these developments as the most extensive community-based interfaith organization in the world. In a few weeks’ time, a delegation of Christians, Jews and Muslims will visit Israel jointly to visit the sacred sites of each of the Abrahamic religions and to pray together. This unique venture has come from Australia in an initiative that provides a lighthouse to the world. By conincidence, the Pope will be there at the same time. 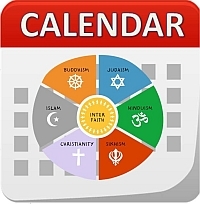 It is a special time for interfaith Australia, especially with the forthcoming Interfaith Roundtable sponsored by the Australian Multicultural Council in Melbourne on May 22nd.. RfP Victoria, in association with the Brahma Kumaris, is planning on the weekend prior to conduct a live-in weekend on planning for a multifaith Australia. There are some issues to be addressed, including a few that are sensitive. One concerns the status of marriage in Australia and the role of religious marriage celebrants. Another concerns the role of religious traditions in the national school curriculum and its relationship with global and Asian literacy as Australia becomes more and more connected to the Asian world. Towards the end of the Korean War in October 1952, its bloodiest battle took place at Baekma Hill where approximately 8,500 soldiers lost their lives from both sides. Sixty years later, for the first time, on October 27th 2013, the first ever interfaith service was held on the Hill in the presence of the Governor of Gangwon province. This prayer was recited on that occasion, overlooking the demilitarized zone separating North and South Korea. Today, on this hill of great sadness and tragedy, I pray with you this prayer of forgiveness and healing on behalf of the Abrahamic religions, the sons and daughters of Abraham, our father in faith, to the one God of Judaism, the one God of Christianity and the one God of Islam. Let us pause in silence in memory of those too many soldiers from both sides of this terrible conflict who died in battle, and also for those whose physical and psychological wounds still remain 60 years later. Forgive us for the stupidity of war, its killings, its injuries and its destruction. Forgive us for not following the message of the prophets of our three faiths. Teach us their messages of love, justice and reconciliation, their messages of peace and compassion. Heal the hearts and minds of those still affected by the wounds of war. Teach us that our enemy is also our neighbour, our brother and sister in common humanity. Heal the minds and hearts of our political and military leaders. Teach them to have the courage to take the path of risk and determination in achieving unity and unification. Let not our leaders, political, military and religious, be blind to the folly of war and the banality of evil. O God of Light, LEST WE FORGET, Amen.